p. Ds. Clynton, Magnns Admirallus Anglie. HODIE 1a vice lecta est Billa, for the Limitation of Times and Persons for the Buying and Selling of Wools. 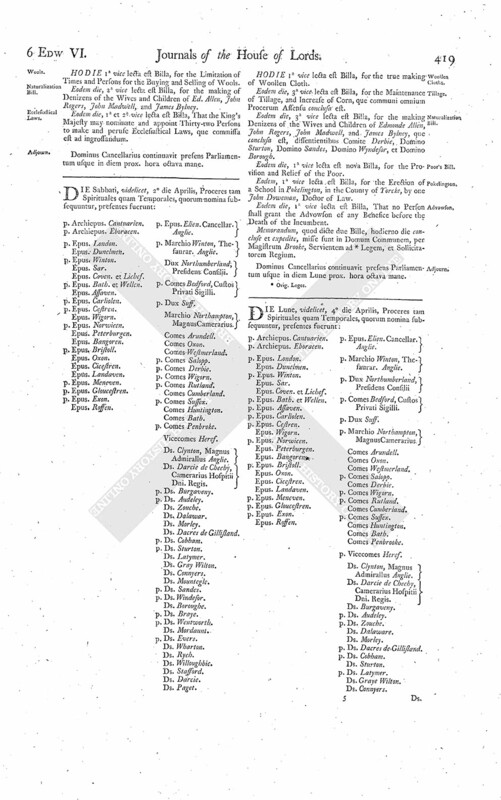 Eodem die, 2a vice lecta est Billa, for the making of Denizens of the Wives and Children of Ed. Allen, John Rogers, John Madwell, and James Bylney. 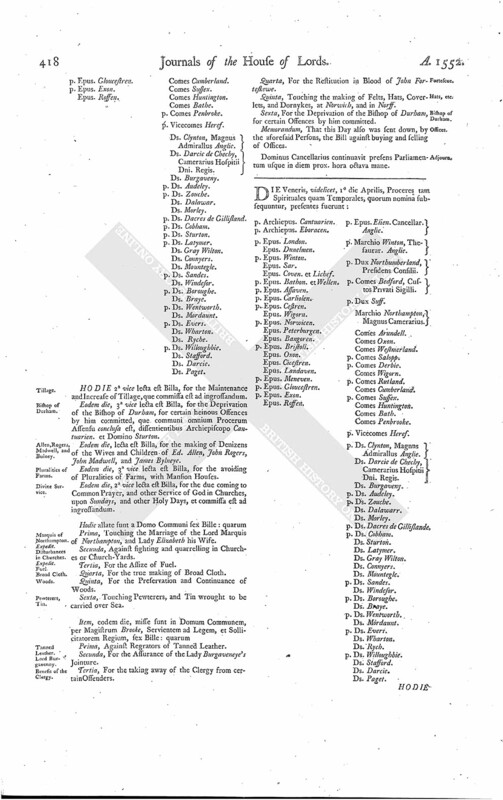 Eodem die, 1a et 2a vice lecta est Billa, That the King's Majesty may nominate and appoint Thirty-two Persons to make and peruse Ecclesiastical Laws, que commissa est ad ingrossandum.